A Labour MP has claimed he has been forced out of his constituency office in Kent by his Conservative landlords. 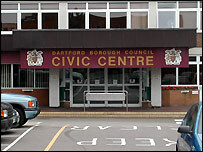 Dr Howard Stoate, who represents Dartford, had rented his office at the borough council's civic centre since being elected to parliament in 1997. But the council insisted it was short of space and had to put the needs of its own staff and customers first. Dr Stoate claimed it was a political move and described the council's reasons as a smokescreen. He moved out of his office on Saturday and is now based at a nearby address in Spital Street, in the town centre. However, he said although his new location was still central, his old office had been conveniently sited for the people of Dartford, whatever their political persuasion. "I'm very saddened by it... 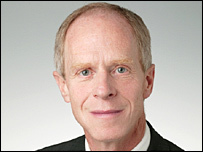 I had a good relationship with council staff," he told BBC Radio Kent. "Having the MP in the council offices was to everybody's benefit, and having officers on hand was ideal." Dr Stoate claimed the council had obviously wanted him out for some time, even going as far as increasing his rent by a huge amount. But in a statement, Dartford Borough Council said it had made clear before the last election that its own staff were working in "unsatisfactory and poor accommodation". "The Cabinet decided that it must put the needs of its own staff, members and customers first and therefore would ask the successful candidate to make new arrangements following the General Election on 5 May. "The Cabinet is disappointed that the MP seeks to propel himself into publicity over the straightforward ending of a lease on terms he openly entered into," it said.